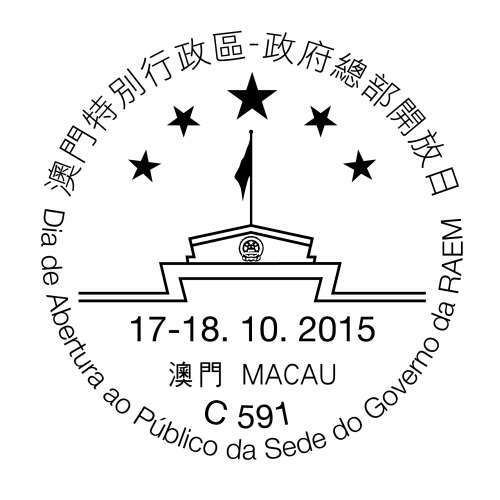 To celebrate the Open Day of Government Headquarters of the MSAR, Macao Post announces that a Temporary Post Counter will be set up in front of Government Headquarters, Avenida Doutor Stanley Ho, at 9H00 to 18H00 on 17th to 18th October 2015 providing the commemorative postmark cancellation service for the “Open Day of Government Headquarters of the MSAR”. 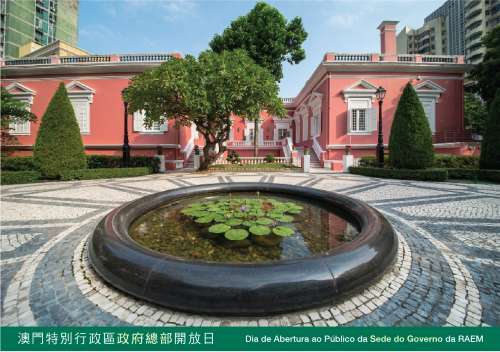 A set of commemorative envelope and postcard presented in an exquisite cover priced at MOP15.00 will be issued. 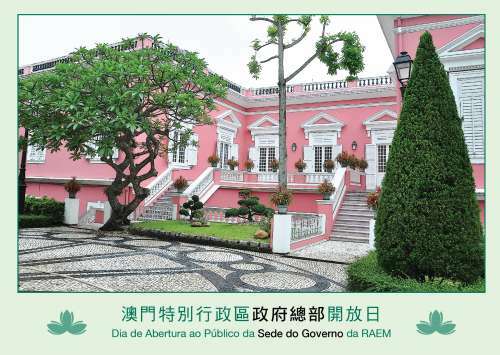 The above commemorative envelope will also be available for individual sale at MOP2.50. 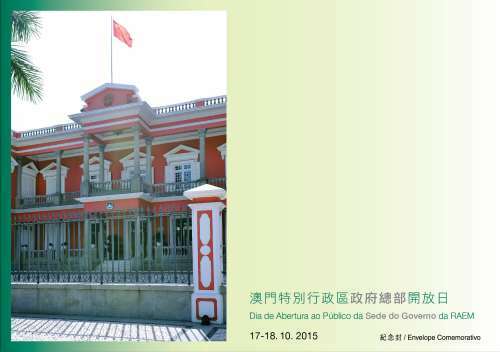 During the above activity, various philatelic products will also be available for customer’s selection.